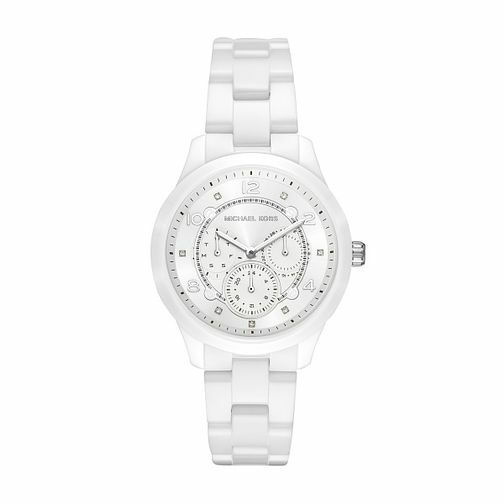 Sleek, sophisticated and with a modern twist, Michael Kors presents this Runway timepiece. With a pure white ceramic case, this watch beautifully portrays a white dial with miniature set stone and white numerical hour markings and hands. Complete upon a classic white bracelet, this stylish timepiece makes for the perfect finishing touch for your everyday outfit.